Saverio is a Managing Partner at Arthur D. Little, heading our offices in Italy and Spain. He is also a Board Member of Arthur D. Little. He is based in the Rome office. 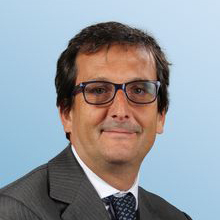 Since joining Arthur D. Little in 1989, Saverio has gained good knowledge in the Italian consulting and Energy & Utilities industries, serving large companies in the processes of shared services, reengineering, designing and implementing financial systems, and conducting profitability analysis. Prior to joining Arthur D. Little, Saverio was a Partner of Ernst & Young, responsible for the Chemicals and Energy & Utilities Industries. Earlier, he worked at Arthur Andersen, acquiring deep experience in the Energy & Utilities market. Saverio holds a Master’s degree in Management and Business Administration from the University La Sapienza in Rome, and is a Chartered Accountant. He speaks English fluently and has good knowledge of Spanish. Saverio is happily married and has three beautiful daughters.